Oh my goodness. Nothing brings move love, than the pink princess years. 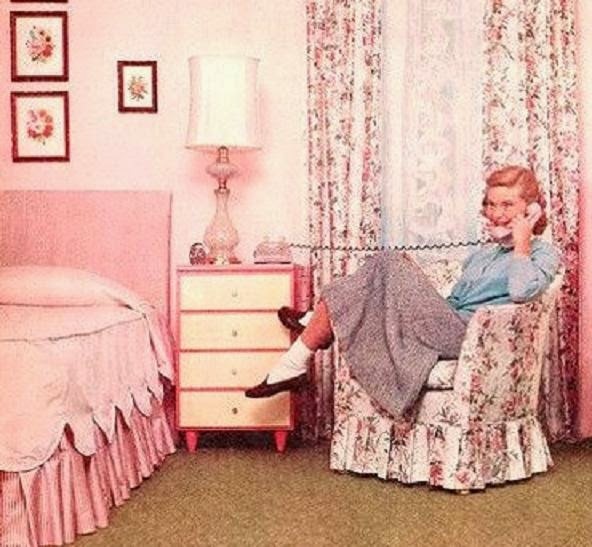 Which I blame completely on Bell Telephone and their Princess phones. How could you be anyone in school if you didn't have your own bedside phone? 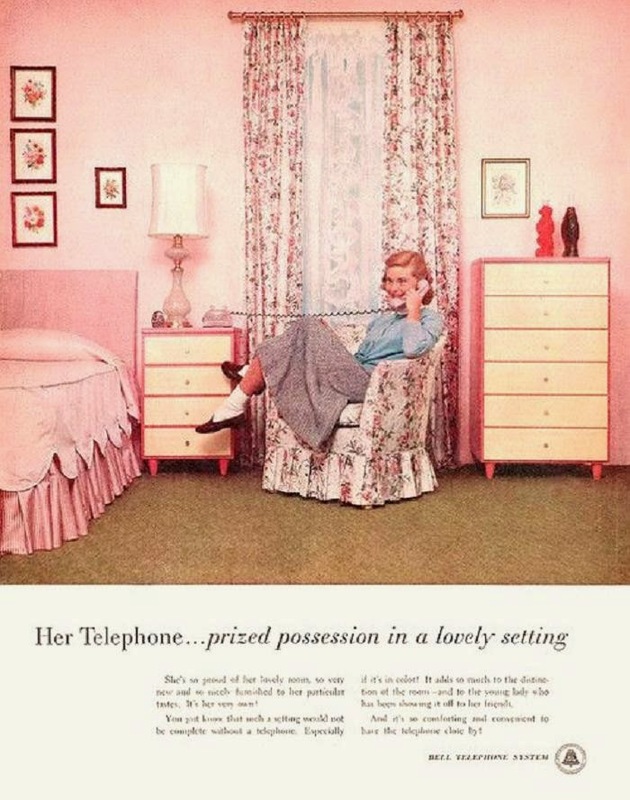 And leave it to Bell Telephone to sell that point. "Her Telephone..." ~ Oh, yea. Whom ever was behind this campaign, earned a big fat bonus. Because it still sells to this day. Just now they are pink cell phones. Hauled around in their hand. Yet, still the same message. How is a teen girl suppose to function, without her phone!?! My favorite phone ever, I always wanted one as a teen but didn't have one so now I do as an adult! I had a white princess phone in my teen years... which I still own. I did not find my first pink princess till the mid 1990's. And it still sits bedside, to this day. But lets be honest. Every girl needs a pink princess phone. At least one.